KTHA is manufactured from gavalnised material in accordance with the EU Machinery Directives. KTHA is classified as Category II 2D/ OD Conveyor and is suitable to handle granulated and pulverized material as comply with Zone 21 or Zone 22 and where the external atmosphere is unclassified. 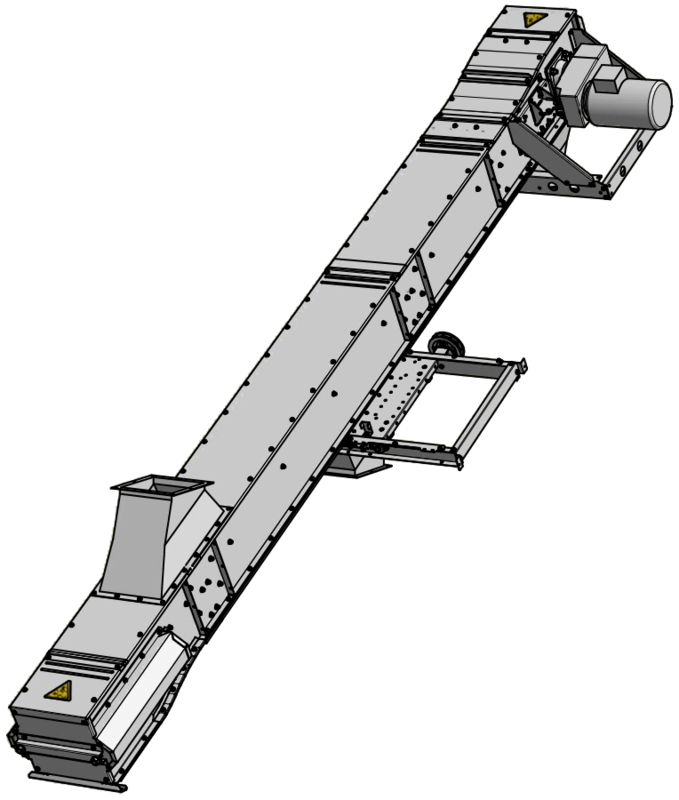 KTHA inclined top conveyor is designed to be fed from an SEH Bucket Elevator. Rated capacities are based on grain with 15% moisture and bulk density of 750kg/m³. The capacity will be affected with the same percentage as the gear box revolution changes.